Now look what's happened. 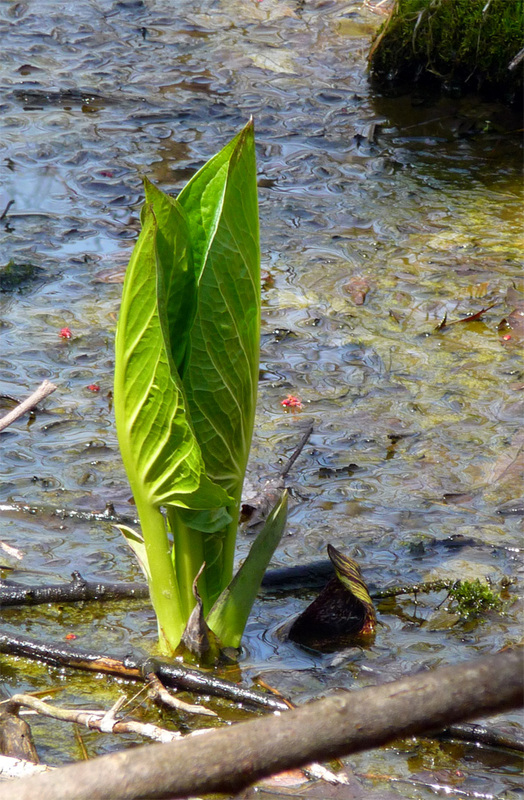 One of the skunk-cabbage spathes that I photographed on March 27 is sinking into the bog, while the green spear that shot through the surface on April 2 has begun to unfurl. Meanwhile, in the background, fragments of red catkins have plopped onto the water. I'm ashamed to say I don't know what kind of tree these are from. If you know, . Stay tuned—more will happen in the next few days.